Former school teacher turned drilling engineer Ruka Te Moana has welcomed the responsibility as the first ever New Zealand IsaBody Challenge® Champion with open arms. 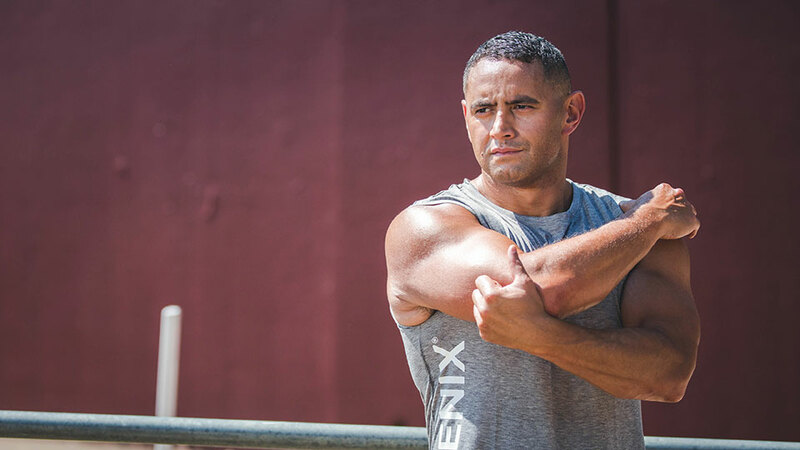 The father of three and competitive CrossFit enthusiast is still riding the energy and excitement from Celebration, so it’s the perfect time to pick his brain and learn about all the life lessons Ruka discovered throughout his eight IsaBody Challenges. What attracted you to competing in CrossFit competitions? I had always wanted to do it and I tried it a couple of times, but I realised I was way too unfit and unhealthy, so I didn’t enjoy it at all. When I did lose some weight, I wanted to get stuck in and give it a go. I started with a local comp and then I found out there were competitions in other provinces, so I decided to have a crack at the NZ nationals. Having that goal and training towards it is awesome. How important was it to have a focus separate to the IsaBody Challenge? In my first Challenge back in 2014/15 all I did was focus on the IsaBody Challenge and I achieved some incredible results. Since then my focus has been about carrying on and getting people on board by making sure that I was in a Challenge all the time. Even though I use the Challenge to better my CrossFit performance, it’s amazing how everything else falls into place when you’re on the right track and being consistent. What role did your support groups and the IsaBody Challenge community play in your journey? Their accountability, support and encouragement are unreal. In the IsaBody ANZ community you all have an opportunity to receive love and support from people when you’re battling, and it comes full circle – when you have the chance, lift others up! It teaches you to receive good feedback and positive vibes and more importantly help someone else which is even more important. What did it mean to you to hear your son say that you’re not a ‘grumpy dad anymore’? That meant the world to me. My eyes are welling up now just remembering that and it still feels like it happened only yesterday. All I want to do is be a good role model for him so to hear him say that made me really proud, but at the same time, I was gutted that for the first six years of his life he grew up with a grumpy father. This was the first time we’ve had a grand prize winner for New Zealand. What impact has it had on the Isagenix Kiwi community? It has been incredible! There’s just so much more activity on the IsaBody ANZ page from Kiwis now. It’s really got a lot of people pumped, especially with the Maori community within Isagenix. We head the list in poor health and poverty statistics and I definitely plan to use this platform to help turn some of that stuff around, whether it’s by speaking at events or showing them better.